Roma tomato or Roma (the "Roma VF" variant is most common in seed catalogs as of 2007) is a plum tomato that is commonly found in supermarkets. The tomato is a meaty, egg- or pear-shaped tomato that is available in red and yellow. It has few seeds and is a good canning and sauce tomato. While Roma is an open-pollinated variety, in general it is not considered an heirloom tomato. Roma tomatoes are also known as Italian tomatoes or Italian plum tomatoes. Roma tomatoes are grown in the United States, Mexico, Australia, and Great Britain. The vines are determinate and fruit heavily, making Roma a popular variety with gardeners who do a lot of home canning. While Roma is an open-pollinated variety rather than a hybrid, it has been steadily improved to the point where most Roma tomato vines are fusarium wilt and verticillium-resistant (thus the VF in the name). Most commercial plum tomatoes sold in markets in the Western Hemisphere are Romas or related types. Smaller plum-shaped tomatoes are sometimes sold as "baby Romas". A smaller relative known as "Windowbox Roma" is sold as a tomato suitable for window gardens and hanging containers. Roma tomatoes are particularly popular in the golden horseshoe region of Ontario, Canada. Preheat oven to 450 degrees. Place tomatoes on tin foil lined baking dish. Drizzle each tomato with olive oil. Sprinkle salt, pepper, garlic powder and oregano. Top off with mozzarella cheese. Roast for 10 minutes, or until cheese melted. Enjoy! Heavenly and Oh So lovely!!! I love Roma tomatoes. I think it's their shape that I like. These sound fabulous! Roasted roma tomatoes sounds interesting. Yummylicious recipe indeed, a nice variation with tomatoes. Thanks for all the research on Roma tomatoes! Since Roma tomatoes (as you stated) are not local and have to shipped quite a way, they are very expensive. However, I love this recipe. 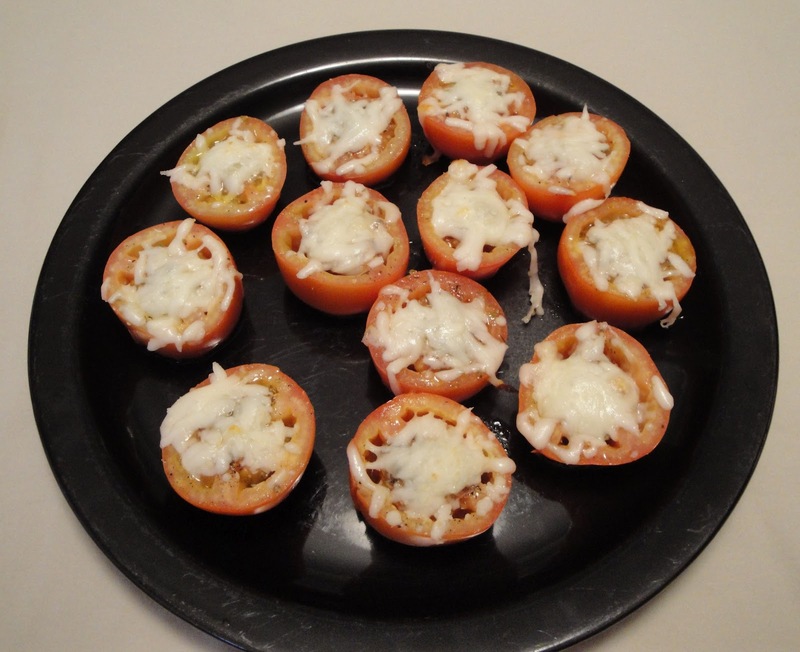 It would really show off the tomatoes, but still give them something a little extra! these look excellent. i love roma tomatoes! Hey Christine, roma's are my favorite. This is a really good idea. Thanks for sharing. I LOVE roasted tomatoes... but I have to eat them all myself because no one else likes tomatoes in our home! Thanks for a lovely recipe! Great preparation of tomatoes, loving the cheese on top! Love this, Christine! Didn't think of doing it this way. Thanks! I buy more Romas than any other. Love the simplicity of this recipe. Alaskan tomatoes are looking pretty sad these days--this is a nice way to dress them up and give them some much-needed flavor!